The LA Weekly reports that a Los Angeles Police Department officer was found dead in his Long Beach home late last night. We’ve touted about Long Beach’s coffee scene, particularly its roasting scene. 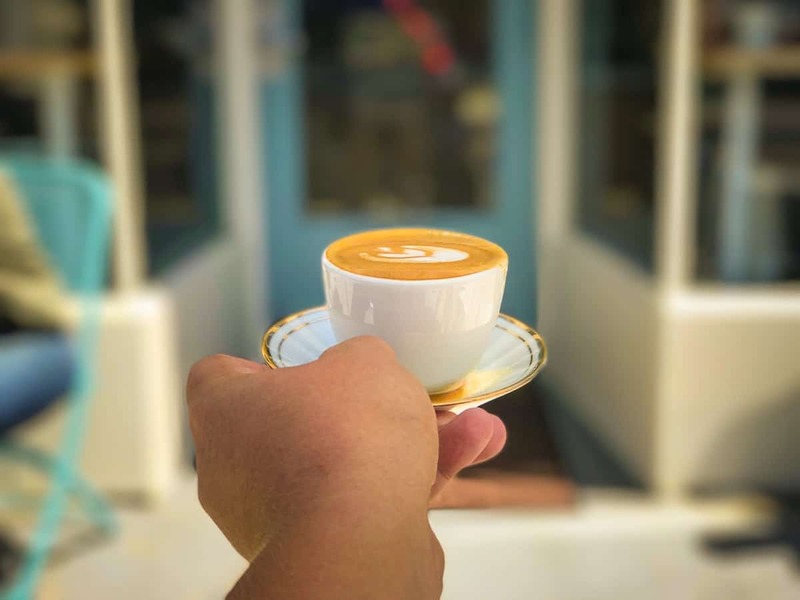 Now, the western edge of Retro Row has just scored another third-wave coffee shop to please the caffeine fixes of Long Beachers. Welcome, Wide Eyes Open Palms (WeOp), which just opened up shop at 416 Cherry Avenue, just north of the Cherry & 4th intersection. . Girlfriend team Kat McIver and Angie Evans have long been a part of the Long Beach coffee scene. Starting as a popup at farmers markets throughout the region, WeOp had long established itself as one of the few places to score cold brew made from Four Barrel beans while grubbing down on vegan and vegetarian friendly grub. And it’s not just their coffee that is spectacular. Their food is genuinely great and speaks to the inner Italian of many. Their jam and ricotta toast? Almost on the level of LA’s Republique: a thick slice of a rustic country loaf slathered with housemade ricotta and jam—is nothing short of addictive. My suggestion? Get the half-and-half if they have two jam flavors because I guarantee you that you’ll love both. Add to this frittatas, cocottes (cream-baked egg), and and granola and you’re set. Meanwhile, over on the Eastside at the northeast corner of the CSULB campus at Palo Verde and Atherton sits a hole-in-the-wall joint called Zero Express that serves Matchata. That’s right: horchata and matcha green tea powder, aligned and mixed into a wondrous concoction. You can also score strawberry horchata, sea salt jasmine milk tea, and a plethora of other wonderful, wonderful mixtures. Zero Express also has shops set up in Fullerton and City of Industry.